With 300+ days a year of off-shore winds, fewer crowds than its neighbor to the south (Costa Rica), and consistent waves year-round, Nicaragua should be high on your list of surf trip destinations. In this guide to surfing Nicaragua, we’ll give you the lowdown on everything you need to know to plan your trip—the waves, travel costs, flights, food, transportation, and where to stay. We’ve also got the lowdown on tourism seasons and what you can expect so you can plan accordingly. Surf trip costs in Nicaragua are very reasonable. You can definitely plan an incredible trip on a tight budget. 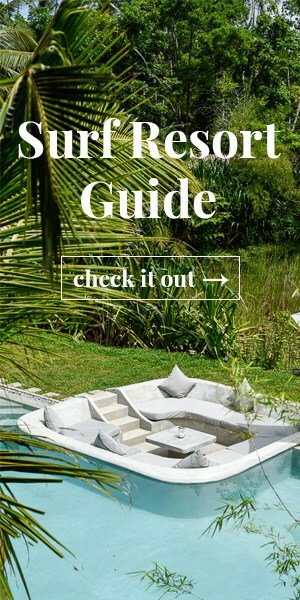 And like with most popular surf destinations out there, you also have the option to go with one of the many all-inclusive resorts or surf camps who will make it all very easy for you. Whatever your budget is, you’re highly likely to score plenty of waves and you’ll be happy you went. 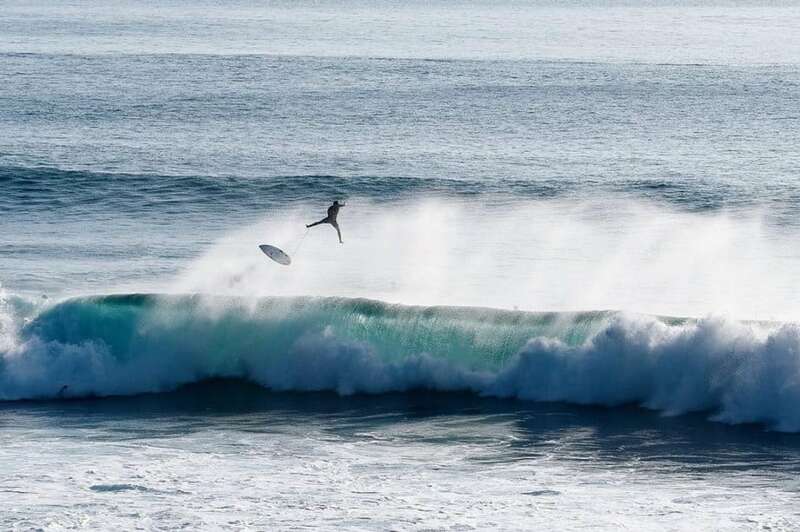 Especially between the months of April to September when the southern hemisphere starts brewing highly desirable south swells which Nicaragua and the rest of Central America are directly exposed to. There’s a lot to look forward to when visiting Nicaragua—among the list are the consistent off-shore winds, typical water temps around 80 degrees plus, average surf being shoulder high to overhead, and fairly uncrowded or potentially empty breaks. Whether you’re looking to learn to surf or searching for those perfect Nica barrels, Nicaragua doesn’t disappoint. If you’re interested in checking out Nicaragua’s southern neighbor, check out our Guide to Surfing Costa Rica. *Note: In April 2018 there was a revolt against the government in Nicaragua which led to upheaval for the country and consequently, Nicaragua’s tourism. The US and other countries have issued travel advisories which have greatly reduced the number of travelers. We have heard that the situation has improved and that even throughout the worst times of the crisis, the coastal surf areas remained pretty quiet and mellow because they are far enough away from the larger towns and cities with protests/roadblocks/police presence, etc. That being said, many small hotels and tourism businesses have closed, so keep this in mind in your search for accommodation. Please see the comments at the end of this article for our insights on the crisis, safety, and current situation. Nicaragua has more than 250 km of coastline on the Pacific Ocean. There are two main seasons; the green or wet season (which is also the low season), and the dry or hot season (which is the high season). The green season is from about mid-May through mid-November which is the time frame when the Pacific coast gets hit with the biggest swells and most consistent surf. 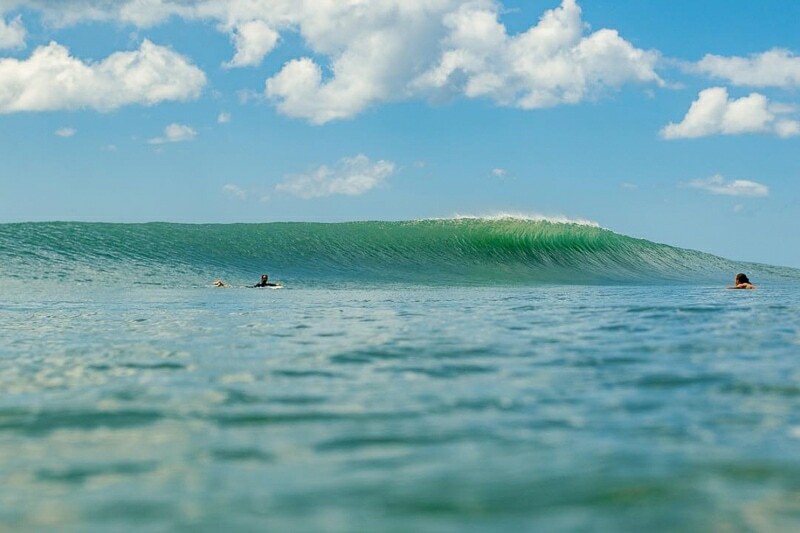 Goes without saying, this is a great time to consider surfing Nicaragua. When it rains in southern Nicaragua it’s often light and sporadic which tends to pass through fairly quickly, and sometimes it only rains overnight (which is always welcome). September and October are the peaks of the wet season with the heaviest rain which can result in all day downpours at times. However, during these months everything is incredibly lush and green, there are fewer people, and while the surf is smaller you can still score glassy head-high perfection with little to no competition. Not a bad idea if you ask me. January and February experience the strongest winds and upwelling which causes the water to be colder than normal. The waves tend to be the smallest this time of year as well which is an ideal time for the beginning surfer. Wish I could have learned to surf in tame, clean, friendly, and uncrowded Nicaragua, as opposed to nasty, junky, jumbled, cold, and aggro Huntington Beach. Haha. Oh, the memories. Ok, HB isn’t all that bad, but Nicaragua would have been much more AWESOME! Anyways, I digress. April typically has good waves, minimal crowds, and the water temp is back to its warm 80-degree self. However, be sure to plan your trip around Semana Santa, aka, the Holy Week. This is the week the leads up to Easter (Thurs-Sun) and should be avoided if you’re looking for uncrowded beaches and lineups. Thousands of Nicaraguan’s take this week off and flock to the beaches for vacation which is sure to increase the crowd factor. April through September is a prime time to go for the more experienced surfer. This is mostly considered the green/wet season, so prices can be reduced in some cases, and as there tends to be not as much tourism. More importantly, south swells are in full swing and waves are often consistently overhead and good to epic. Late November is the start of the dry season which runs through April and can be a great time for any surfers looking for some milder surf and clean conditions. 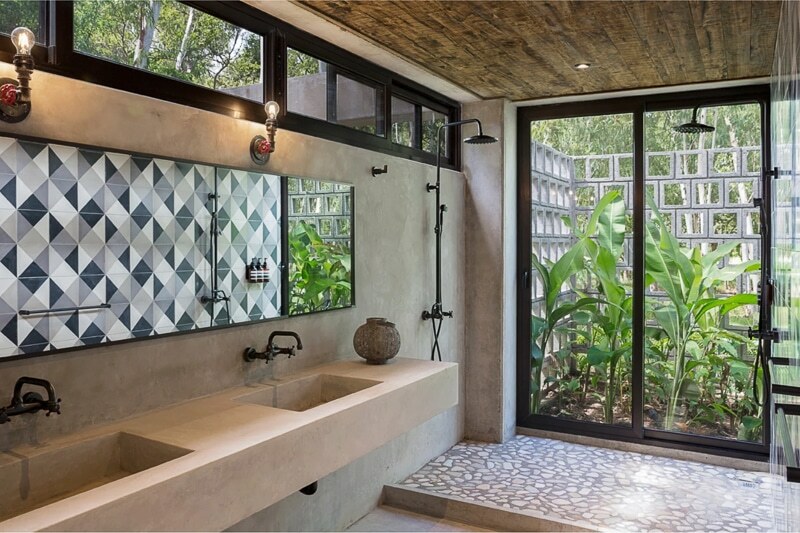 The dry season tends to be the high season in tropical destinations like Central America because most people want to avoid the chances of getting rained out on their hopefully sun-shiny vacation. 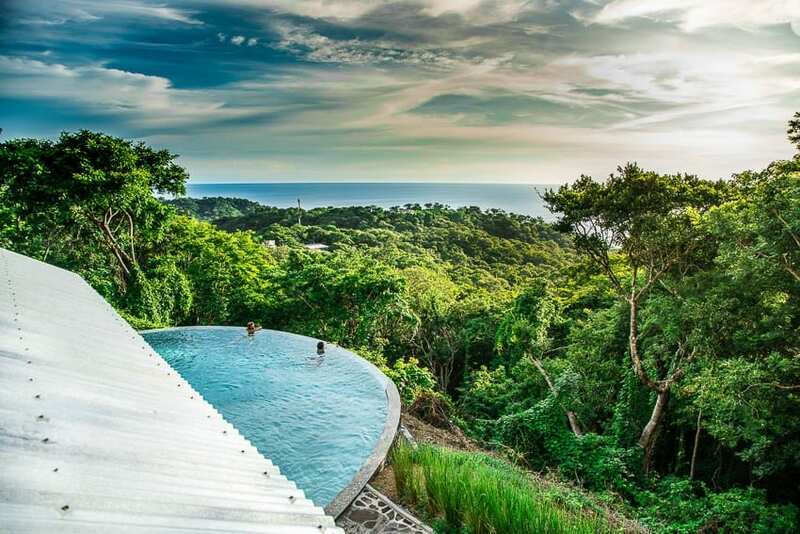 Here’s a breakdown of a few of the most well-known breaks in Nicaragua. And check out our guide about the surf in Costa Rica if you’re thinking about exploring some breaks down south. Playa Colorado is a punchy, often hollow beach break with many faces. Found in the southern Pacific region. It ranges from shoulder-high tame and rippable to hollow double overhead stand up barrels. Colorado’s is a pretty heavy break when it’s on so be prepared to get slammed and be sure to bring an extra board (or two). Panga Drops is just about a 15-minute walk up the beach from Colorado’s and is similar in power and shape offering some picturesque A-frames but is usually a few feet bigger. Mark and Dave’s is a very well know surf camp smack-dab in front of the break. They offer all-inclusive surf packages and accommodations if you have a higher end budget for your trip. Playgrounds, well, is exactly that, a playground for surfers. Offering rights and lefts it’s a super fun rippable wave breaking over a cobblestone ocean seafloor. Watch out for urchins. If you’re surfing Playgrounds though, you most likely got there by boat. It’s not commonly accessed by the beach as there is not much around. But you may stumble upon some local expat rippers who live nearby and can access by land. Popoyo is one of the most well-known spots in Nicaragua. Some have compared it to Lower Trestles, but it’s a better left than it is a right and is a rocky reef bottom as opposed to cobblestone. Either way, it is an epic wave that will let you lay down your nastiest carves and if there is enough size and swell, you can count on snagging some incredible barrels too. Playa Santana is a long beach with a few spread out peaks. The main break is a left-hand wedge off to the far left of the beach that dishes out some very throaty barrels. The beach breaks have a variety of fun peaks up and down this stretch of coast but can also close out from time to time. Playa Santana is a very popular beach among locals and they often hold surf contests there. You’ll definitely be among some local rippers, always respect the locals wherever your travels take you. 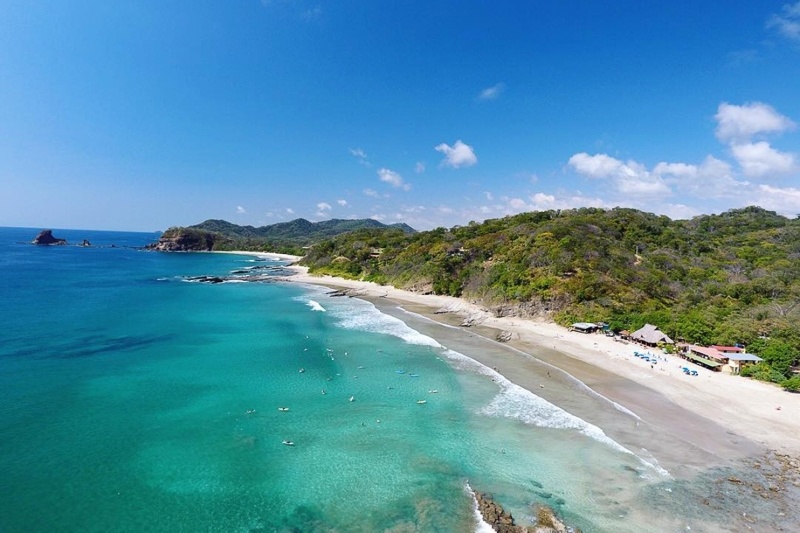 Playa Maderas is one of the most popular breaks near the San Juan Del Sur area. Maderas is predominately a beach break and usually has something to offer any time of year. It’s an all-around great wave that is very rippable. Manzanillo is a dream. One of the better waves when it’s working and many peoples favorite break due to its beauty. It’s a rather fickle break that needs a certain swell direction to work. Loved by all, Manzanillo is a left-hand point break, that peels off along a picturesque cliff background. There are some barrel sections to be had and wide open faces to be hacked. Such a beautiful place. 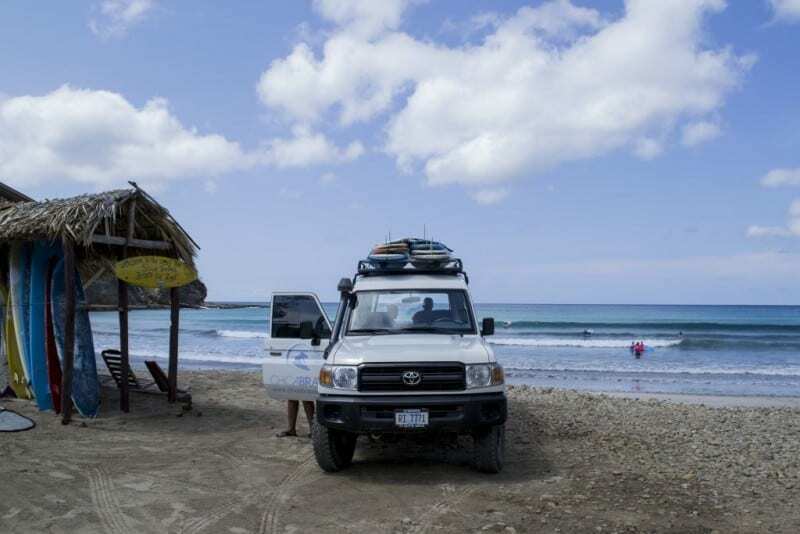 Also, most commonly accessed by boat, this spot is a must when surfing Nicaragua. The cost of your surf trip will vary depending on the time of year, where you stay, and how much you plan to explore breaks (because it’s often easier or simply necessary to get around by boat). 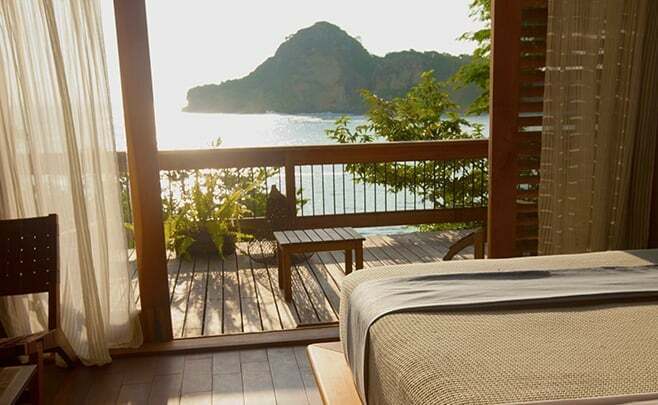 There are plenty of options to travel on every budget– whether you’re looking for a simple place to lay your head or a five-star resort experience. 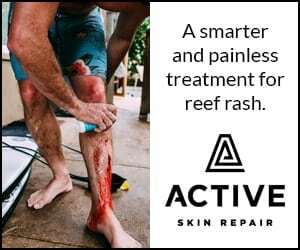 If you would like to have most things taken care of, there are some really great all-inclusive surf camps and tours that are worth looking into. When planning your trip to Nicaragua, be sure to take into consideration the high, low and shoulder seasons. You can expect to pay an additional 25% when traveling to popular tourist destinations during the high season. Like many tropical destinations, the high season coincides with the most travel-friendly weather when it’s dry and sunny. What’s considered to be summertime in Nicaragua is from November to mid-May, when it’s not raining. The low season (or winter, if you want to look at it that way) is mid-May to October when it’s cooler and wetter. 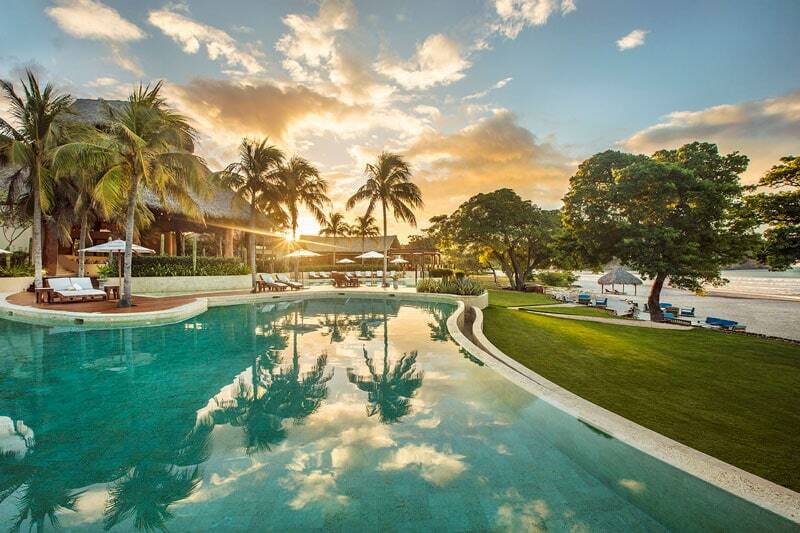 The low season in Nicaragua is known as invierno which translates to “winter” and is the wettest time of year. Most people refer to this time frame as the green season since the terrain is lush and green from the consistent rain. While rainfall is common it’s also the best time for south swells making for solid surfing conditions. And even though it’s the “rainy” season, storms come and go, the temperature is still plenty warm, and the rain tends to keep non-surfers and tourists away making for desolate beaches. Gotta love those empty beaches! Once again, September and October are the rainiest months with October being the wettest, but you can still potentially get lucky. Just keep in mind that it can rain for a week straight. If you’re the kind of person that doesn’t mind the rain, then this could be a great time to visit. There are certain months when you can still get cheaper rates, there’s likely to be fewer people, and you can generally count on nice weather. While May to mid-November is considered the wet season; May, June, July, and November can be great months where the weather tends to be a bit milder. When it rains, it’s often in the afternoons and overnight giving way to sunshine and beautiful partly cloudy moments of bliss in-between. The high season and dry season go hand in hand. You can expect heavier crowds and more sun-seeking beach dwellers. Prices will likely be marked up around 25%. Be sure to book your rooms well in advance and know that many places require a few nights stay. You may want to note that public holidays include New Year’s Day, Easter Week (Thurs to Sunday), Labor Day, and Christmas Day. Independence Day (Sept 15) is followed by Día de Los Muertos (Nov 2), or the Day of the Dead, which is the Latin American version of All Souls’ Day. Feast of the Immaculate Conception (Dec 8) is also known as La Purisima. So plan accordingly. Your transportation expenses will include your plane ticket, shuttles, buses, taxis, and most likely boat trips. You’ll want to fly into Nicaragua’s only international airport, which is situated on the west side of the country in the capital of Managua (MGA). Managua is serviced by American Airlines, Delta, United, Spirit, Aeromexico, Avianca, Copa, and Alaska. 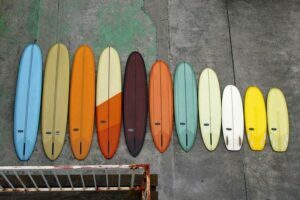 You might want to check out our guide to surfboard bag fees to get an idea of how much the different airlines charge to fly with surfboards. The drive from Managua to San Juan Del Sur, Hacienda Iguana (Playa Colorado and Panga Drops), and Popoyo is typically around 2.5 hours. 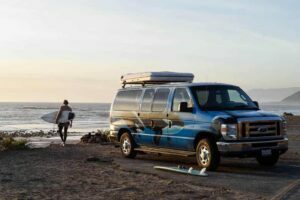 If you’re staying at a surf camp your shuttle is likely already arranged for you in advance. If you’re on a tighter budget, taking a bus or a taxi van with a group of people going your direction is probably your best bet. Most of the roads have been paved to these spots now so it’s a pretty easy drive, ten years ago that wasn’t the case. You can even pick up a six-pack and enjoy a few brews on the way if you feel so inclined. All flight prices are round-trip including taxes and shown in US dollars. Surfboard bag fees: Unless you fly on one of the few airlines that don’t charge surfboard bag fees, tack on an additional $75- $200 each way if you want to take your boards. You have some things to consider here. Do you want to be able to drive yourself around without having to hitch a ride, coordinate with others, or rely on taxis and shuttles? Or maybe you’re cool with just posting up somewhere for the week without much need to get around. Either way, you have plenty of options, let’s take a look. The Nicaraguan Cordoba (NIO) is the currency of Nicaragua. As of January 2018, $1 USD equals about 32.50 Cordobas. 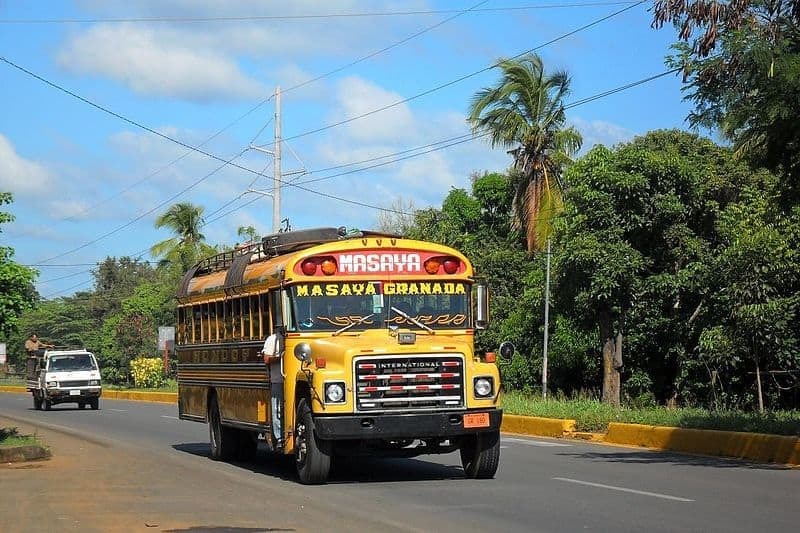 Public Transportation: “Chicken Buses” are the absolute cheapest way to get around local style in Nicaragua, they can run anywhere from 20 cents to a couple dollars depending on how far you need to go. $2 USD should get you about a 2-hour bus ride. But it’ll probably take you a lot longer than you’d like with all the stops, transfers, and hassle with your luggage as you make your way to the coast. So the express bus is the most efficient and budget-friendly option for transportation to and from Managua. Buses going to San Juan del Sur depart from the Roberto Huembes Market bus terminal. Express buses depart from the left side. There are two express buses that go directly to SJDS at 9:30 am and 4 pm daily. It’s about $3 USD for a 2-hour bus ride to Rivas market and then you’ll have to get a taxi the rest of the way, another 25-30 minutes. A private taxi can cost you $10-20 dollars if you’re solo and depending on your negotiating skills. If you’re traveling with a crew of 4 people, you should be able to get a shared taxi, locally known as “taxi colectivo” for about $2 USD per person, roughly 50 cordobas. Always make sure that you have negotiated and agreed on a price before allowing any taxi driver to touch your luggage and give you a ride. Rent a car: For complete flexibility and mobility, renting a car is a good way to go. And while you can rent a cheap car or truck for about $20 a day, it’s always a good decision to go with a 4×4 when in Nicaragua. A 4-wheel drive truck or SUV will likely run about $60 a day when all is said and done. You’ll likely see them advertised for much less, like $32 or $44 a day, but once you add in insurance, license plate fees, environmental fees, and taxes it’ll average out to $60+ a day. We recommend you do a quick search on the internet for coupon codes, promotions, and discounts to potentially save you some dough. A nine-day car rental can cost you around $450 to $650. But if splitting 4 ways, $125-$175 each isn’t too shabby for the freedom and flexibility that you get with renting a 4-wheel drive that can take you to places that you otherwise might not be able to go. Cost: In summary, the prices can vary significantly from $10-$60+ a day before adding in insurance, taxes, and miscellaneous fees. Insurance can run $15-$30 a day, I’d rather be safe than sorry so I tend to get full coverage. Also, you can plan to have a $500-$1000 security deposit hold on your credit card, so plan your finances accordingly. Shared-Ride Shuttle: If you will be going to one or two main locations and you don’t want to deal with a rental car, there are many shuttle buses to and from the airports, as well as between popular destinations. Shared-ride shuttles are faster and more convenient than buses, but of course, come with a bigger price tag. Check out Iskra Shuttles to get an idea of the going rates which range from about $25-$40 per person each way depending on if you’re alone or with a group. Cost: $25-$40 per person with discounts for larger groups. Motorcycles: Once at your destination, motorbikes are a great way to get around and explore local villages and nearby breaks. Cost: $20-$25 per day. 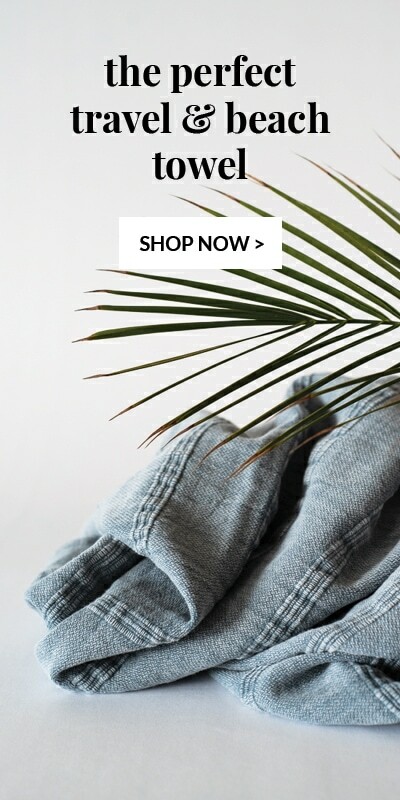 You might be able to find them a little cheaper if you ask around. 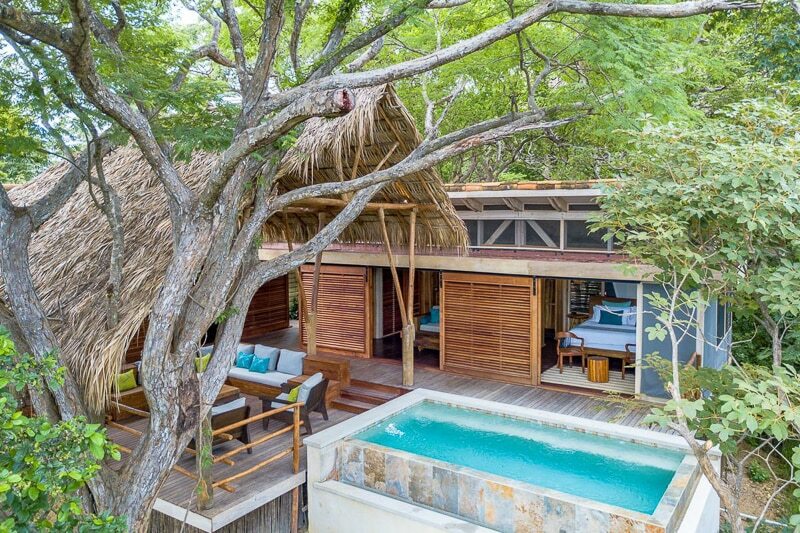 When it comes to finding a place to lay your head, Nicaragua has plenty of options. 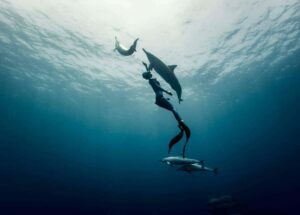 You can find budget surf hostels from $10-$30 night and chic eco-resorts that can easily take you into the $250+ range. In the budget price range (up to $100 per night) there are some really lovely surf camps that include meals and surf guiding. 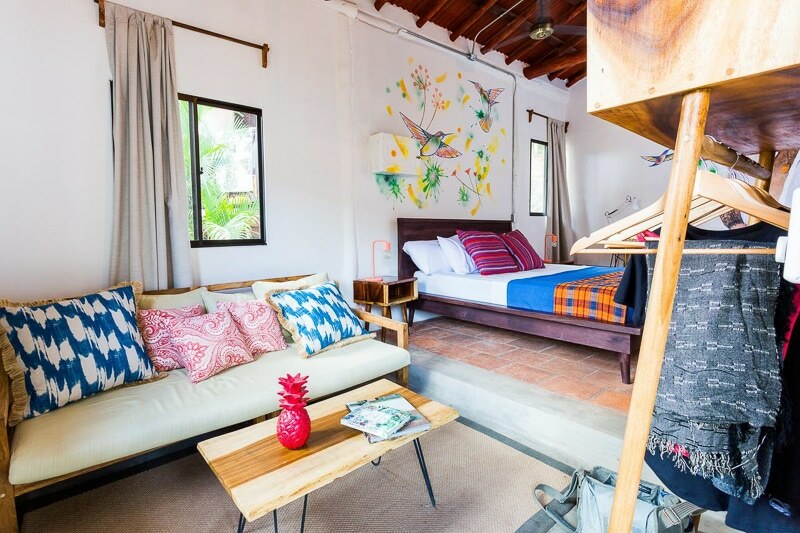 In the mid-range price point ($100 – $200 per night), you’ll find some really nice surf camps and resorts, and if you’re traveling with a group of friends or family, there are great vacation rentals available. If money ain’t a thang, then check into a top-notch luxury abode with amazing ocean views or located right on the beach, or you might consider taking the all-inclusive surf trip route complete with surf guiding and all meals taken care of so you can focus all your time and effort on surfing. Below we’ve listed a few good options to give you an idea of what you can expect in different price ranges. 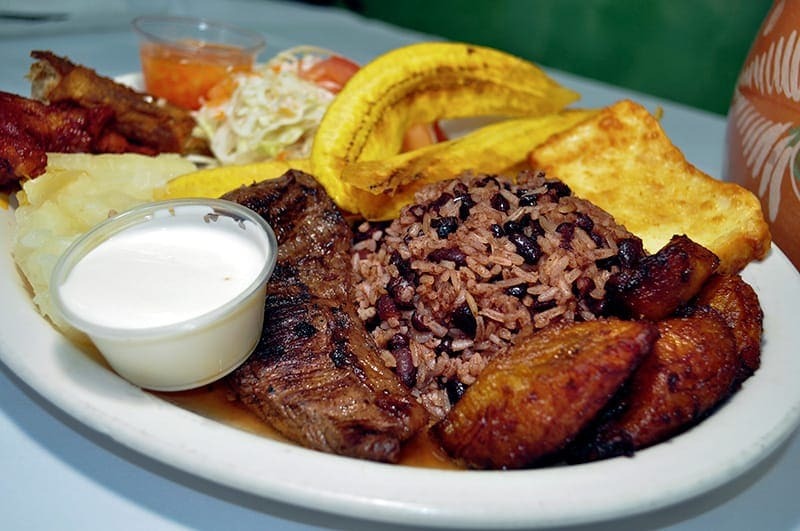 The typical meal in Nicaragua consists of rice, beans, plantains and chicken, fish or beef. Simple, hearty, and delicious. You should be able to find a meal like this for less than $5 including a beer. The cost of food in Nicaragua is generally pretty budget friendly, but like most places, you can find a pricier gourmet meal if you’re looking for one. Your cheapest route, as usual, is eating like the locals and cooking for yourself. The cost of your food will vary depending on where you’re staying. 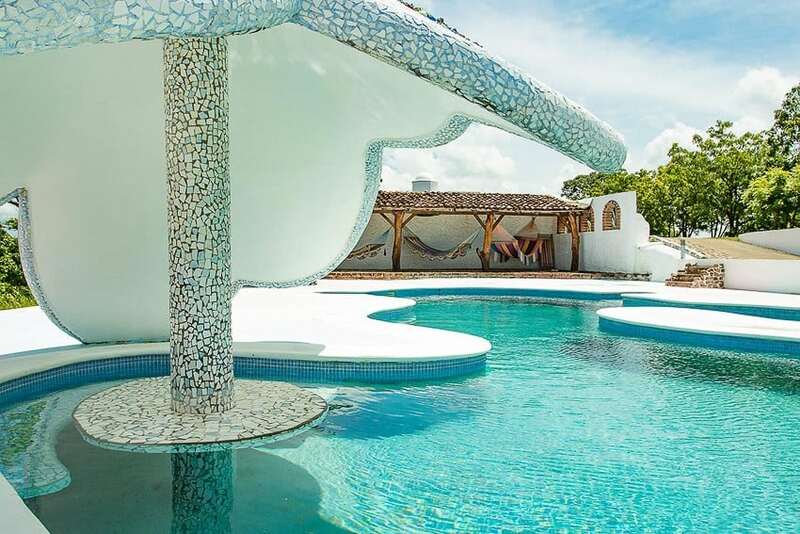 Some areas like Hacienda Iguana at Playa Colorado only have a restaurant or two in the area so you may have to make arrangements for an in-house chef to cook for you or plan ahead and bring groceries from town so you can cook for yourself. When there are only a couple of restaurants in the area that cater to the traveling surfer you can expect to see a fairly westernized menu with pretty regular prices, not as cheap as you’d imagine. 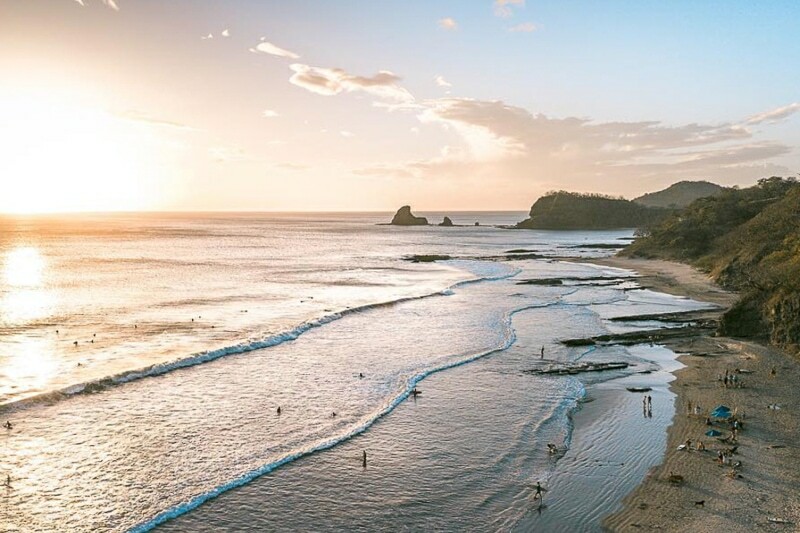 On the other hand, popular beach towns like San Juan Del Sur have seen quite a bit of development in the last few years so there are a ton of options and the variety is endless whether you’re on a tight budget or looking to splurge. You’ll find American style pubs, pizzerias, burger joints, Mediterranean food, Italian food, you name it. There’s even a microbrewery in town! Needless to say, you can expect to pay close to American prices with these fine dining experiences as well. 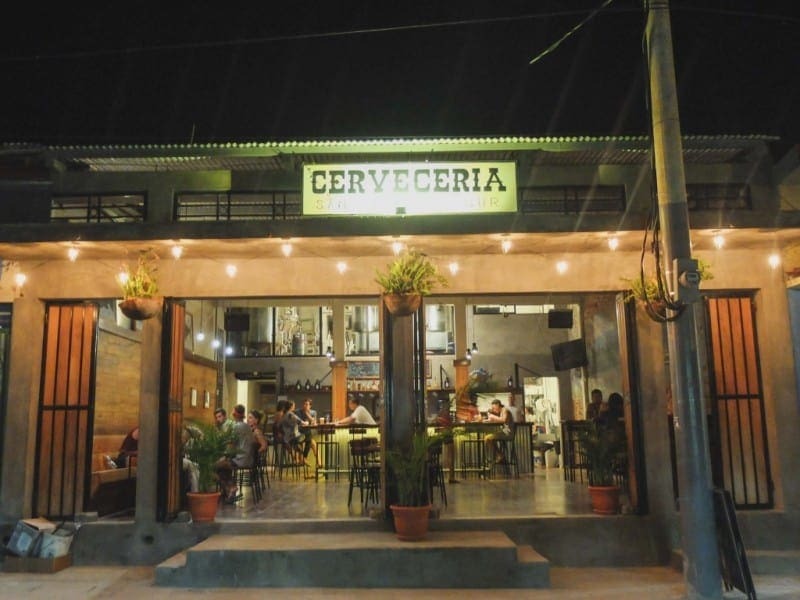 Cost: If you visit local mercados and eat at the less touristy local style restaurants you should easily be able to get by on $10 – $15 a day, but we’d suggest budgeting $20 since you’ll probably want to enjoy a few cold brews, drink lots of bottled water, and for gratuity, etc. For the mid-range to a higher budget, you can easily drop $10-$20 on a single meal. Which would end up costing you $30-$60+ a day depending on your appetite and drinking habits. 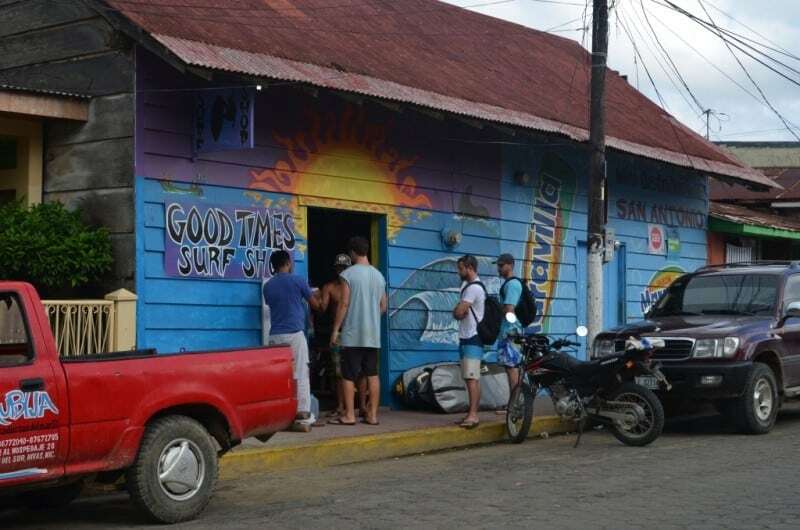 Surfboard rentals in Nicaragua can range from $10 – $20 per day and a lot of surf shops are pretty laid back and negotiable on pricing. If you rent the board for an extended period of time, you will most likely get a better rate. If you bring a board, then, of course, you just have to pay for extra baggage fees. Once again, here’s our guide to surfboard bag fees. Nicaragua is not only accommodating to the most experienced of surfers but it’s a very beginner friendly place too. There are a variety of surf schools, rentals, and breaks for all skill levels. 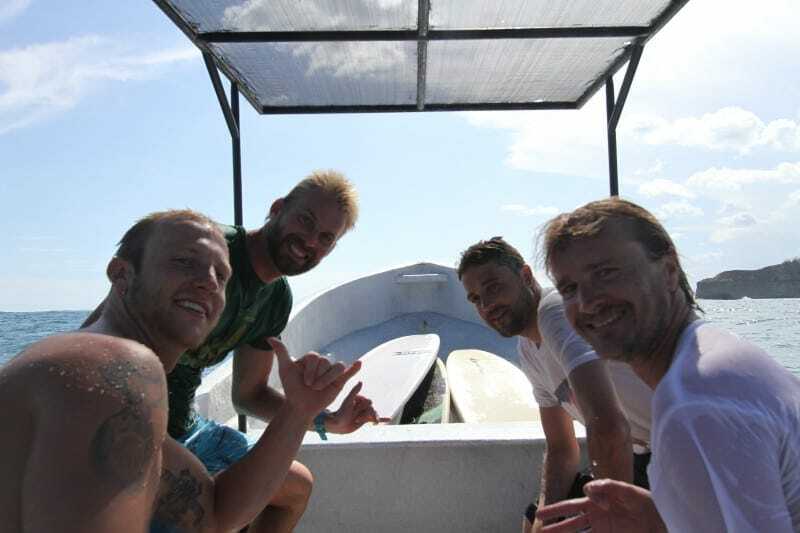 A boat trip (or three) is an essential part of any Nicaraguan surf adventure, so be sure to fit some in. There are so many great breaks to explore and depending on the swell and your luck you may want to stop to check a few before getting on it – a boat is the best way to do this. Also, anytime you go on a boat trip, you gain the added benefit of tapping into the captain’s local wave knowledge, which is always a good thing. Boat trip cost: Prices can range quite a bit but you can plan to pay anywhere from about $20-$50+ per person for a boat trip with varying degrees of time on the water (half day – full day excursions), locations serviced, and accommodations. Be sure to check ahead with where ever you’re staying to see if they can get you a deal on boat trips. You know the deal—better safe than sorry. We use and recommend World Nomads Insurance. They offer very comprehensive travel insurance and cover heaps of activities, including surfing and ocean sports. You can easily check it out and get a quick quote here. 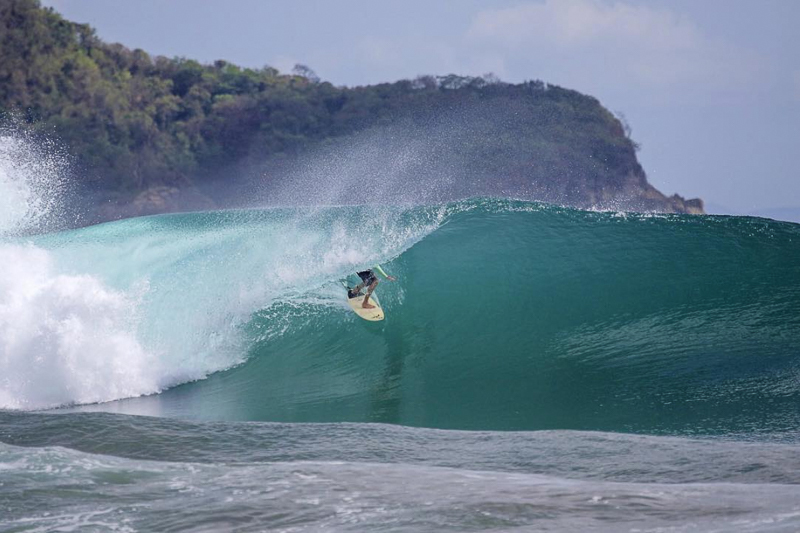 To sum it all up, surfing Nicaragua should probably be high on your priority list as it’s a pretty incredible surf trip destination and is definitely worth your time and money. Be sure to check out our ultimate Surf Trip Packing List for a full breakdown of everything you might want to take on your trip. 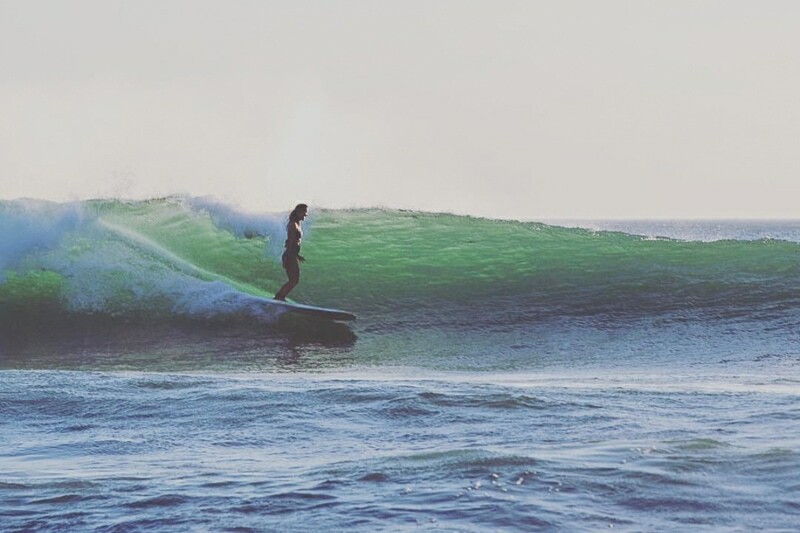 If there’s anything you’d like to add about surfing Nicaragua (questions, comments, tips, or otherwise) please let us know in the comments below! 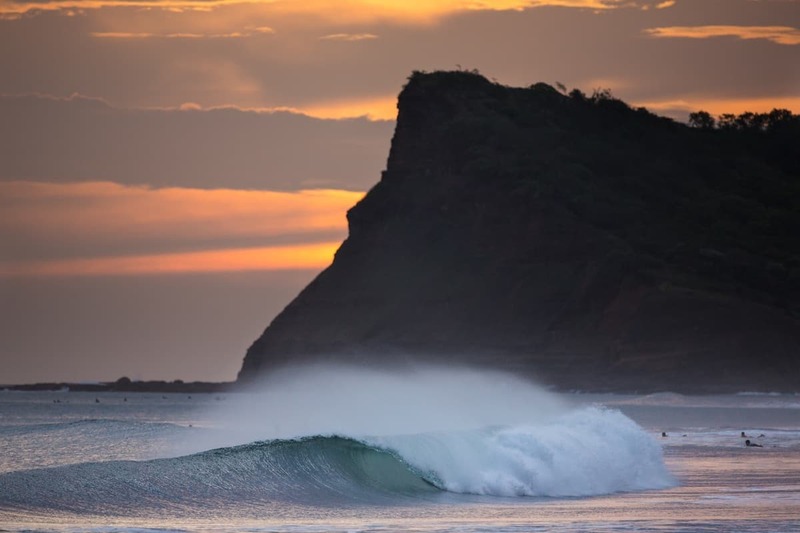 Like our Guide to Surfing Nicaragua? Hey there! Definitely understandable. We have been monitoring the situation from afar reading articles and trying to keep tabs on the latest. We haven’t personally been to Nicaragua since the crisis started, so we don’t have personal experience and obviously can’t ensure safety, but I’ll let you know what I’ve heard. Since the crisis started, tourism has obviously gone downhill, so around 80% of small hotels have closed and unfortunately, many people have lost their jobs which is always a bad thing. I have heard that even throughout the worst times of the crisis the coastal surf areas remained pretty quiet and mellow because they are far enough away from the larger towns and cities with protests/road blocks/police presence, etc. BUT you have to travel through Managua if you fly into Nica, or alternatively, you can drive from Costa Rica, but I’m not sure the situation at the border, driving up to the surf areas, etc. A contact of mine stayed in Nicaragua last fall and she said it was totally fine. That the surf camp she works with had closed for a few months but then reopened in the fall and are welcoming back travelers. US Dept of State Travel Advisoryon Nicaragua. The thing that’s tricky is that countries like El Salvador have been considered more dangerous to travel to for years, yet many surfers and visitors travel through and have wonderful trips, so it’s hard to really gauge safety sometimes. At the end of the day, it’s all about your comfort level. I’d recommend doing as much research as possible and making a decision based on what you’re comfortable with. great thread on Trip Advisor on the question of safety. 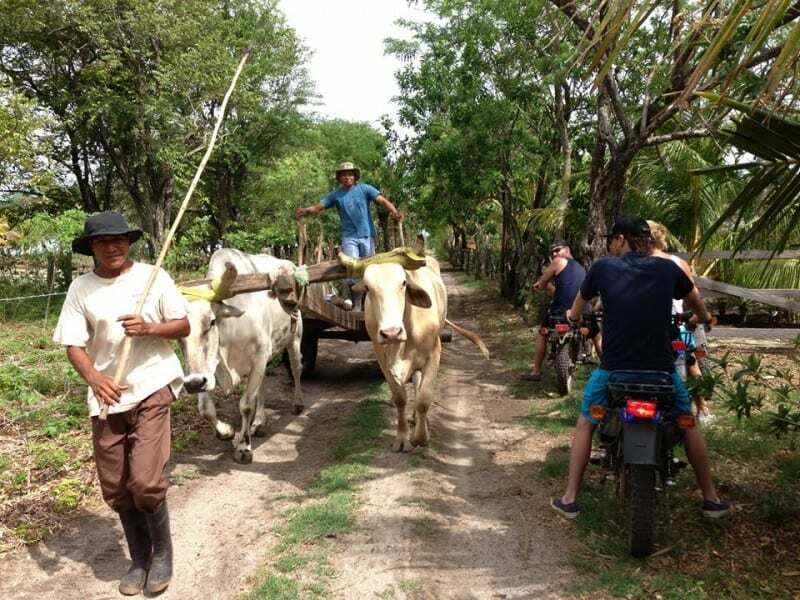 There are comments in there on both sides, but many travelers say they felt safe on their travels in Nica since the crisis began and had great trips. Good luck with your decision, and let us know how it goes! 🙂 Happy travels! I also spent a really good time there during my last journey and came back with great memories. Awesome, Jenny! Glad you had a great trip!